PORT REPUBLIC, N.J. -- They're called "ghost forests" - dead trees along vast swaths of coastline invaded by rising seas, something scientists call one of the most visible markers of climate change. The process has occurred naturally for thousands of years, but has accelerated in recent decades as polar ice melts and raises sea levels, scientists say, pushing salt water farther inland and killing trees in what used to be thriving freshwater plains. "I think ghost forests are the most obvious indicator of climate change anywhere on the Eastern coast of the U.S.," said Matthew Kirwan, a professor at Virginia Institute of Marine Science who is studying ghost forests in his state and Maryland. "It was dry, usable land 50 years ago; now it's marshes with dead stumps and dead trees." 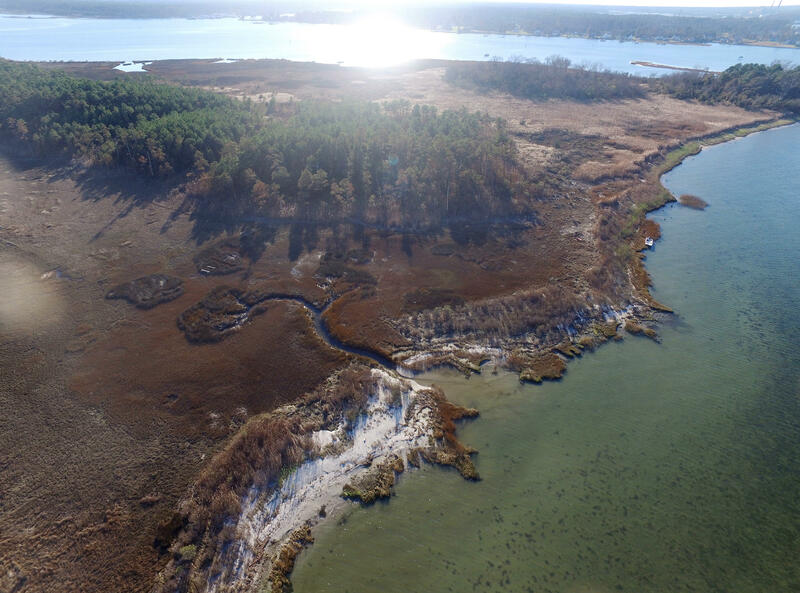 The intruding salt water changes coastal ecosystems, creating marshes where forests used to be. This has numerous effects on the environment, though many scientists caution against viewing them in terms of "good" or "bad." What benefits one species or ecosystem might harm another one, they say. But the conversion of forest into marshland produces "extremely productive" wetlands that feed and shelter fish and shellfish. "There is a lot of change going on," said Greg Noe, a research ecologist with the U.S. Geological Survey. "It's dramatic and it's changing faster than it has before in human history." Quantifying the rate of increase in ghost forests is a major focus of Able's research. Some scientists say the increase began around the time of the Industrial Revolution, while others say the speedup began more recently than that. When his team first got there 10 years ago, "it looked like the trees were under a little stress, but they were all alive," he said. "But five years later, the vast majority of them were dead. That happened right in front of our eyes, much faster than we expected." Marcelo Ardon, a biology professor at North Carolina State University, studied one site called the Palmetto Pear Tree Preserve on Albemarle Sound in North Carolina from 2006 to 2009. When he returned in 2016, he said, "what used to look like a healthy cypress swamp, now the trees are dead and the water level is a lot higher. The place has completely changed. I've checked overhead satellite photos and you can see the trees dying." Large storms can drive salt water further inland and kill trees; 2012's Superstorm Sandy is believed to have led to the deaths of some trees in southern New Jersey, Able said. "That same storm 100 years ago would also have killed trees," he said. "But 100 years ago that same land wouldn't have been so wet that new trees couldn't get established and replace the dead ones. That's a big part of where sea level rise comes in."